Two NASA astronauts and a Russian cosmonaut returned to Earth on Wednesday, rounding off a mission of more than five months aboard the International Space Station. Alexander Misurkin of Russia's Roscosmos space agency and NASA's Mark Vande Hei and Joe Acaba touched down on steppe land southeast of the town of Dzhezkazgan in central Kazakhstan at the expected time of 0231 GMT. "All descent and landing operations went according to plan. 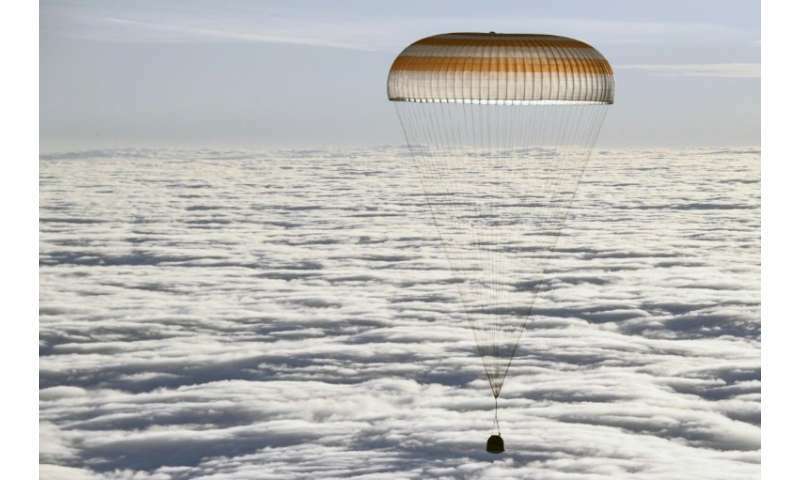 The crew members that have returned to Earth are feeling well," Roscosmos said in a statement. He was in buoyant mood on the way down, telling Russian Mission control he felt "better than anyone", and was the first crew member to emerge out of the spacecraft onto the snow-covered steppe. Puerto Rican native Acaba on Sunday tweeted a photo of his hands framing the Earth as viewed from the ISS's famous "Cupola" observation module. "The future of our home is in all of our hands. May we all care for #Earth and practice good stewardship," he wrote.